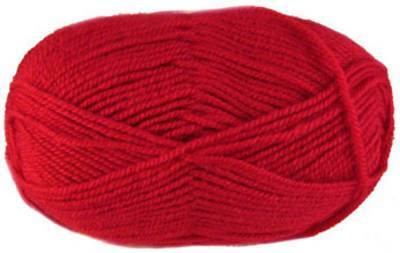 King Cole Fashion Aran knitting yarn Red, 9. Supersoft blend of 30% wool and 70% acrylic at an unbeatable price. Can be used for any standard aran pattern. 100g ball, 200m.